Obesity is considered as the severe problem faced by most of the people of this generation. People are always in search of some food items that can help them in reducing weight significantly. There are many facts related with nutrition which are just lies and nothing else and so we are having many food items for the sake of reducing weight but they are making you becoming fatter. There are certain food items that we have always considered as the best ways through which weight can be reduced. Most of us think that it is better to choose the healthy cereals for breakfast rather than any other stuff. The truth related with these cereals is that they are so much full of sugar and refined carbohydrates that can only help in making you fatter. When you are taking the processed cereal as the form of your breakfast, you are letting the levels of blood sugar and insulin get spiked to higher level. After sometime when the levels of blood sugar get decreased, your body can again crave for a snack that is full of carbohydrates which can make you put on weight faster. Agave nectar is available in the market as a natural alternative for sugar and the corn syrup. The main reason for the sugar to be unhealthy is the presence of excessive amounts of fructose in it. The truth is that agave nectar is worst that sugar as it contain fructose more than sugar. People have started replacing the refined wheat bread with whole – wheat bread as they think that it is the most healthy food compared to the latter one. If it is whole wheat, it is obviously so good for the body but in most of the cases, the things that are made out of whole grains are not actually whole grains but are made out of some other materials and what the company boasts is a marketing strategy. 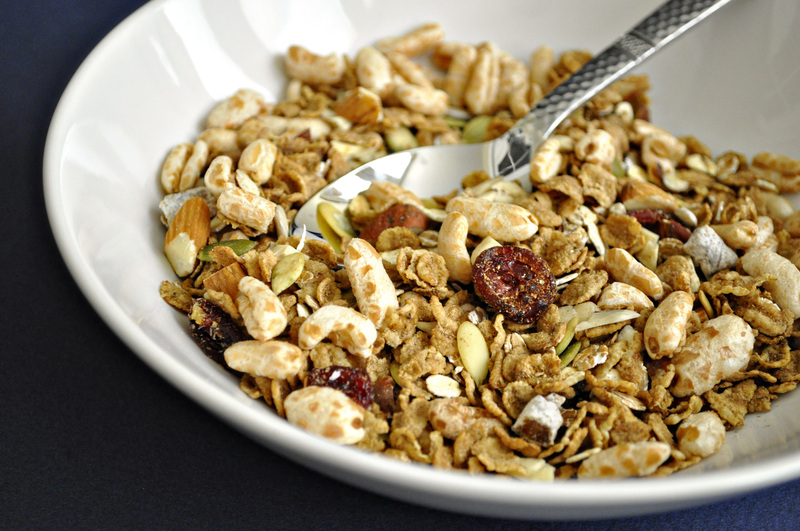 Granola is a healthy food to be included in the diet, if it is made out of real ingredients but the problem is that the manufacturers have increased its production to such an extent that they have started making use of many ingredients in it that are really unhealthy. This food item can only help in getting fatter. Yogurt is really a healthy food but as all of us are behind something that is healthy and can make the weight to get reduced, we prefer things that are low fat, low carbs etc. Most of the yogurts that are available in stores are the ones with low fat which can be considered as garbage that is highly processed. Vegetables are healthy food items that contain many nutrients and antioxidants in them that can help in keeping the body more healthy. Most of the people do not like the taste of vegetable salad as it is and so they add the salad dressings which makes the healthy meal nasty and of no use. Never try buying the vegetable dressings for the salads as they contain only calories and nothing else. Fruit juices are always considered as the healthiest food items but they are not as real as they should be. Most of the times the fresh fruit juices that you get from shops are just flavoured sugary water. The soft drinks are considered as unhealthy due to the enormous amount of sugar in it. People have started replacing those with diet sodas. As per the dieticians, these drinks can help in reducing weight significantly. The truth is that the artificial sweeteners in these drinks make people eat more. Trail mixes from a very rich and dense fruit that has lot of sugar and fat in it. This is the snack that can be a perfect choice when you are in need of some energy and it is not a good one to include in your weight loss diet. The food manufacturers have hit the market with the gluten free food items. The fact is that they are as unhealthy as their counterparts with gluten. These food items also have larger amount of refined carbs, chemicals and sugar contents that are unhealthy.